This event only occurs once every four years, so don't miss the unique opportunity to meet one-on-one with funders, participate in professional development opportunities and network with other community leaders in the region. The Western Slope region includes Delta, Eagle, Garfield, Mesa and Pitkin counties. 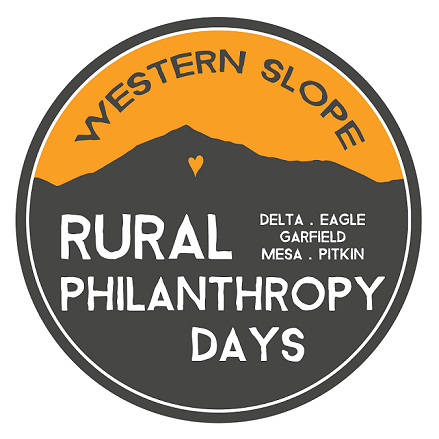 Western Slope RPD is intended for rural-based nonprofit organizations serving this five county region. For pricing information, please click on the "Fees" tab in the top left menu. *If you are a scholarship applicant, please do not register until you've been notified of your status and provided a discount code, if applicable. You can complete a scholarship application here. *If you are an Event Sponsor, Presenter/Partner, or Elected Official, please register as the "Other" registration type and enter the discount code provided to you when prompted at the end of registration, if applicable. Still have Questions? Please contact Michelle Livingston, Event Coordinator, at WesternRPD@gmail.com or 303-506-5593.